The other day my youngest wanted to do some crafts. I didn't want the house in a mess as we had visitors coming over so tried to think of something that didn't involve much mess and was quite quick too. 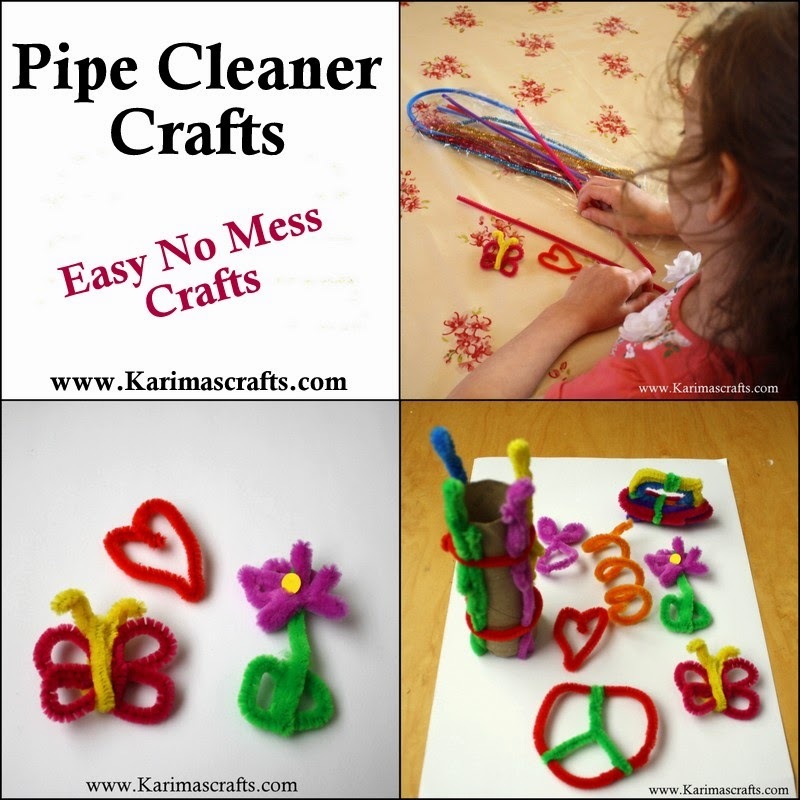 What better than pipe cleaners. Not much mess, easy and kids can let their imagine go wild. The photographs show the designs my 8 year old daughter came up with. This kept her busy for an hour and most importantly, kept her happy! These are too cute my dear! how fun to play with kids craft this way!